Josh and Jamie are former Massachusetts residents who now live in California. 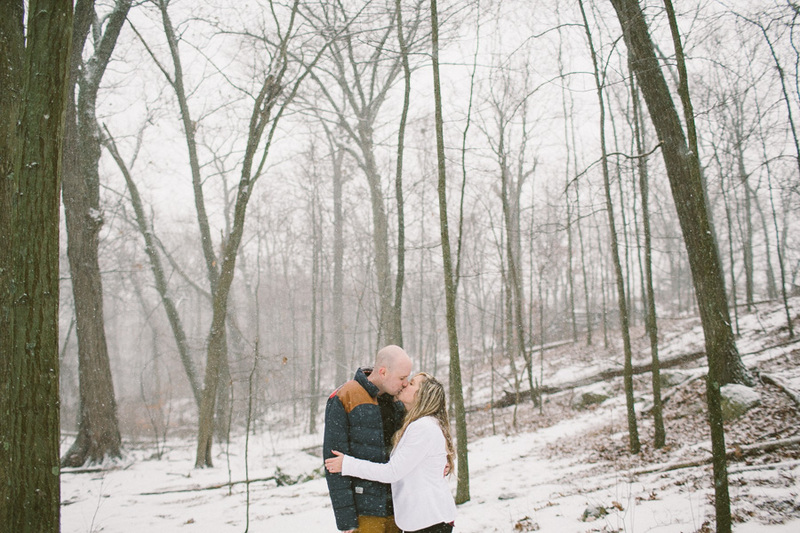 They came home for the holidays and we scheduled their engagement session about a month or so ago. Well the day was finally here and we had a snow day on our hands. Luckily the two of them were troopers and the three of us froze our butts off, got my camera soaked. But good times were had and I am really stoked on these photos and to have finally met Josh and Jamie in person. Even if they didn't bring their Corgis with them to hang out with me.